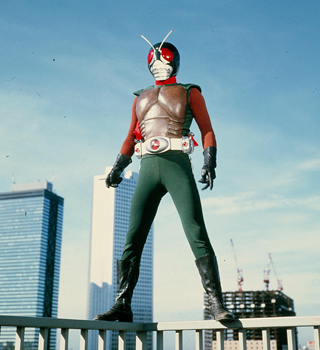 Hongo Takeshi was kidnapped and turned into a cyborg mutant by the evil secret society of Shocker. He goes on to fight the Shocker as a cyborg mutant despite his struggles. 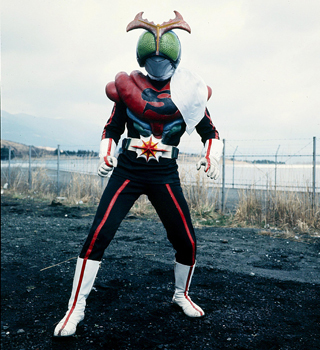 Ichimonji Hayato, a freelance photographer, transforms into Kamen Rider 2-Go. He protected Japan in the place of Hongo, who had chased the Shocker to the United States. Kazami Shiro was severely injured by the mysterious secret organization of Destron. 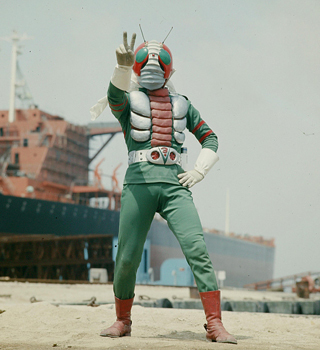 However, with the cybernetic remodeling-surgery performed by Kamen Riders 1-Go and 2-Go, he was revived as Kamen Rider V3. Yuki Joji, once a brilliant scientist of Destron, is nearly sentenced to death due to a trap set by Marshal Yoroi. 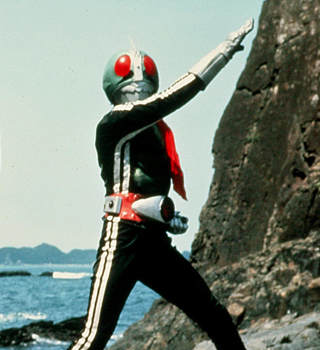 After a successful escape, Yuki becomes Riderman and pledges vengeance on Destron. Jin Keisuke was killed by the evil organization of G.O.D., along with his father. Keisuke was brought back to life by the hands of his father on the verge of his death. Inheriting the ancient Incan super-energy, wild child Amazon flew over the Pacific to his far and distant homeland of Japan to stop the evil ambitions of the Geddon and the Garanda Empire! 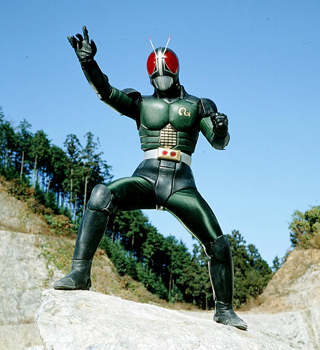 Kamen Rider Stronger/ Joh Shigeru voluntarily undergoes cybernetic remodeling-surgery to become an Electric Human. He fearlessly stands up against Black Satan, who is looking to conquer the world! 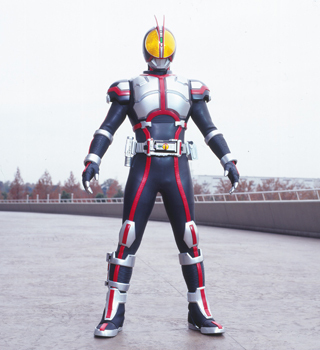 Kamen Rider/ Tsukuba Hiroshi is a cyborg mutant. He fights the secret society of Neo Shocker for the freedom of the human race. Fired up by his dream of space development, Oki Kazuya voluntarily becomes a cyborg mutant for the purpose of planet development. He battles the Dogma Kingdom using Sekishin Shorinken (Red Heart-style Shaolin Kung Fu) and the Five Hand. 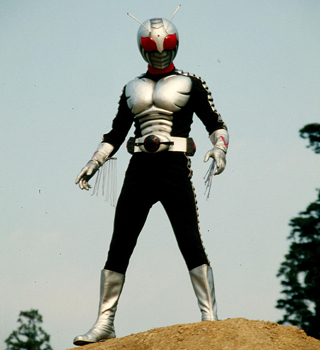 Minami Kotaro is cybernetically remodeled into Century King Black Sun by the hands of the evil society of Gorgom. 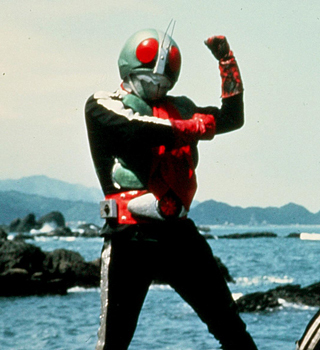 Using the Kingstone, a transformed Kotaro fights Gorgom and the Crisis Empire. 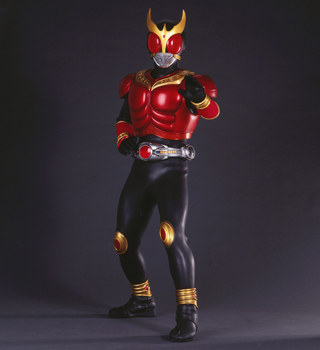 The enhanced transformation to Bio Rider demonstrated a new direction for the series beyond Kuuga. evived from ancient ruins, the Gurongi Tribe began to terrorize the people. 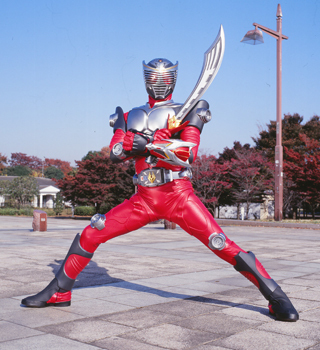 Godai Yusuke, an adventurer, equips the combat tool of Arcle, and bears his destiny as a Kuuga warrior. 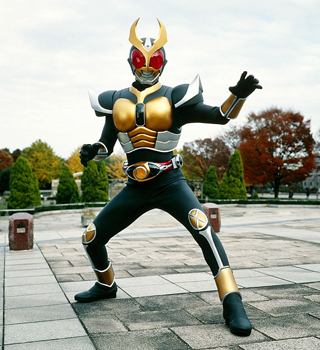 A man with amnesia, Tsugami Shoichi, is awoken to his powers of Agito. With Hikawa Makoto (man who equips G3) and Ashihara Ryo (transforms into Gills), he is at the mercy of his destiny. 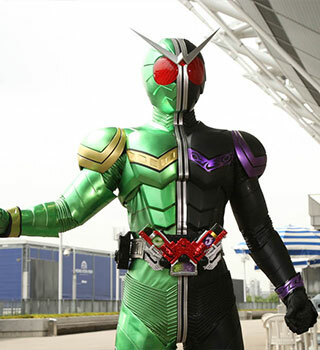 Kido Shinji, an up and coming journalist, discovers the secret of the riders and makes a deal with Dragredder, the strongest monster of the Mirror World—only to become Kamen Rider Ryuki. 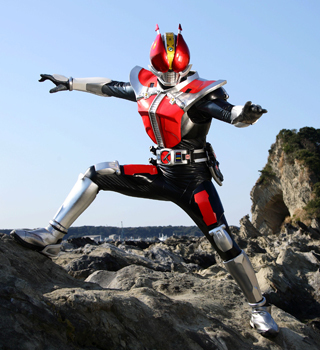 While travelling, Inui Takumi is involved in an incident revolving around what is known as Faiz Gear. 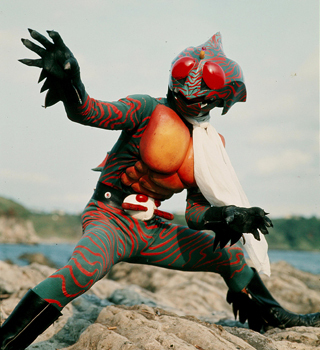 Before long, he awakens into a rider that fights the Orphnoch. However, he himself was also an Orphnoch. Released from a seal of 10,000 years are the immortal Undead. 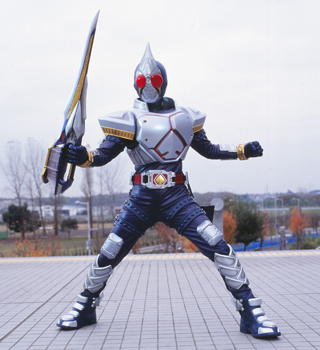 Kenzaki Kazuma becomes Kamen Rider Blade to fight the Undead. Takeshis fight against the demonic beings holding the powers of the Oni (Oni: Ogre). 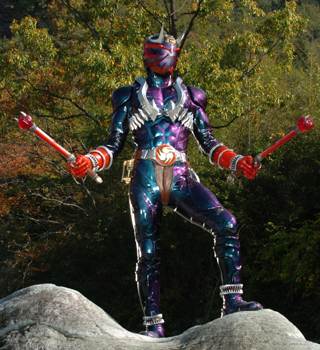 Hibiki is a Takeshi living in the modern day, and fights against the Makamo using the Ongekibo (Sound Attack Stick) and Kaen Tsuzumi (Blazing Drum). 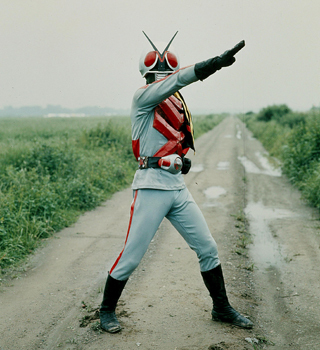 Using the Masked Rider System developed by the secret organization of ZECT, Tendo Soji fights the Worm, extraterrestrial life forms that murder and mimic human beings. One day out of the blue, a faint-hearted boy named Nogami Ryotaro picks up a pass to the time-travelling train, Den Liner. 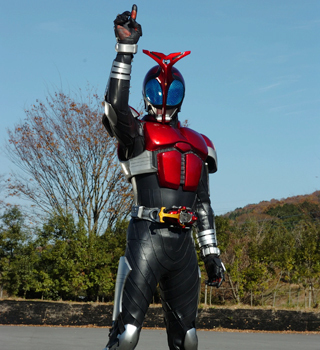 Ryotaro then becomes Kamen Rider Den-O to fight the invaders from the future, Imagin. The Fungire tribe lives by draining the life-energies out of human beings. 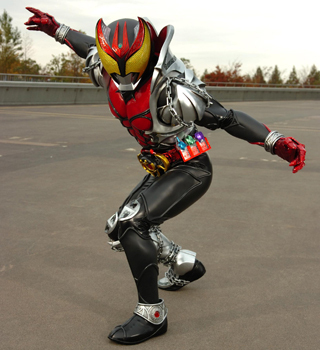 Kurenai Wataru, who goes on to fight as Kamen Rider Kiva, was half-human, half Fungire. 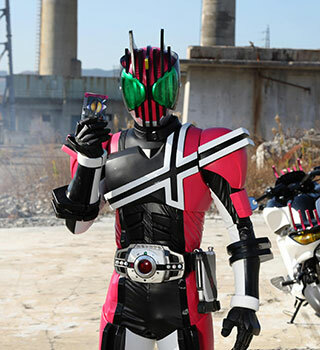 Many of parallel worlds were merging to bring a great catastrophe; Kamen Rider Decade travels around the worlds to prevent it with exploiting all the other Kamen Rider’s skills. 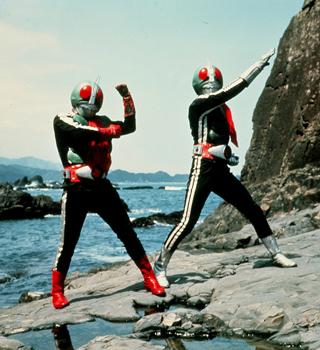 An detective, proclaims himself to be hard boiled, and a mysterious boy who is connected to “Memory of Gaia” together morph into Kamen Rider W. They protect their city “Futo” from crimes caused by “Gaia memory”. 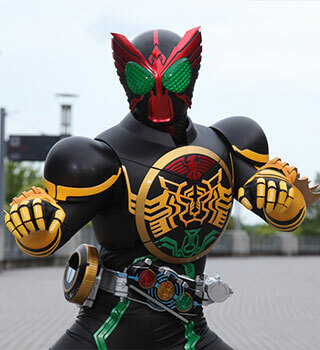 Kamen Rider OOO protects people from “Greeed” which rise from the medals sealed 800 years ago. He can transforms into various forms with a combination of three medals. Gentaro Kisaragi is a Trasnfer student for Amanogawa Gakuen High School and is intending to make friends with everyone in the school. 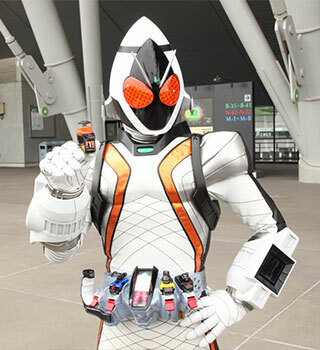 He morphs into Kamen Rider Fourze with “Astro switch” which contains the cosmic energy. Man with a strong magic power is called as “Gate” and Phantoms seek and attack them. 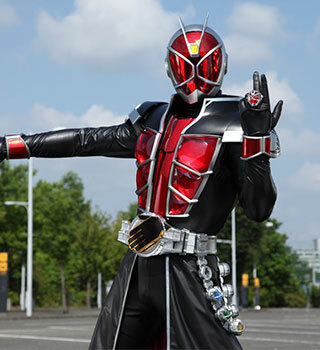 Kamen Rider Wizard / Haruto Souma, himself was also a “Gate”, fights for a hope of people with a power of Phantoms within. The world was eroded by Helheim and the nationwide Yggdrasil Corporation conspires to sacrifice the majority of human being. 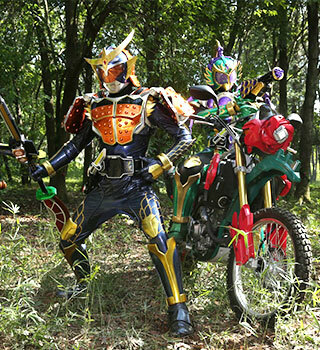 Mysterious fruits of Helheim give Kouta Kazuraba a power to morph into Kamen Rider Gaim. 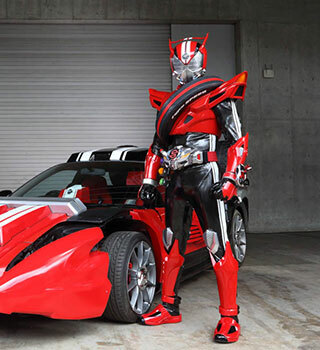 A passionate police officer, Shinnosuke Tomari, Tridoron, a car with intelligence, and their special investigation team fight against the Roidmudes that are to replace human being. Takeru Tenkuuji was murdered by evil Ganma. He has to collect fifteen Eyecons to bring himself back to life. 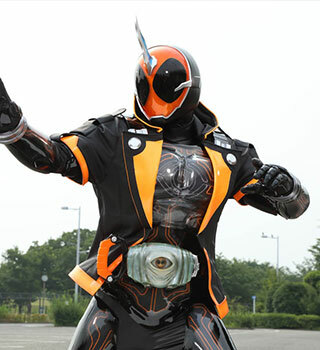 With learning the souls of heroes inside of Eyecons, he saves the people around. Emu Hojo, a medical intern at Seito Universal Hospital, was known as the genius gamer “M”. 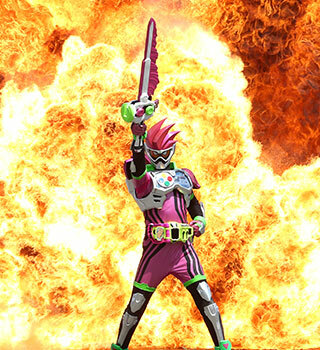 He morphs into Kamen Rider Ex-aid to cure the game disease caused by Bugster Virus.